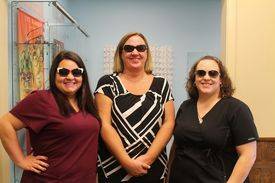 Whether or not you require vision correction, sunglasses can add an element of comfort and enhanced performance to your activities, while helping you look great. Lesslie Vision Care offer you and your entire family complete eye care services! Browse some of the designer eyewear brands we carry in North Charleston, SC!